MaltaCPM | AdsWiki - Ad Network Listing, Reviews, Payment Proof & Advertising News. 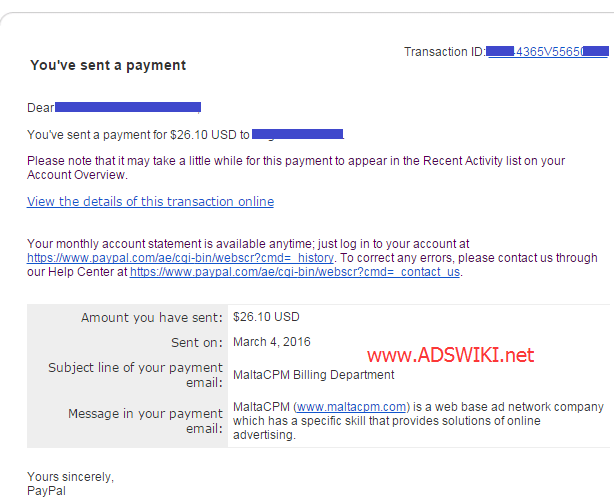 MaltaCPM is working as a ad network. MaltaCPM provide maximum benefits to all advertisers and publishers. MaltaCPM introduce a unique platform to publishers. From this publisher will earn a lot of income at minimum time. In online advertising world MaltaCPM provides live report, 24/7 support, automatically payment, CPM, CPC & POP ads at one platform for the first time With an account manager available for changes, issues and of course optimizations. You could change ads code into Script code and iFrame. MaltaCPM provides all type of ads format. Easy to use just click on tag code and past it at any website. MaltaCPM team is working with confident that every publisher will join MaltaCPM ad network and will be beneficial. 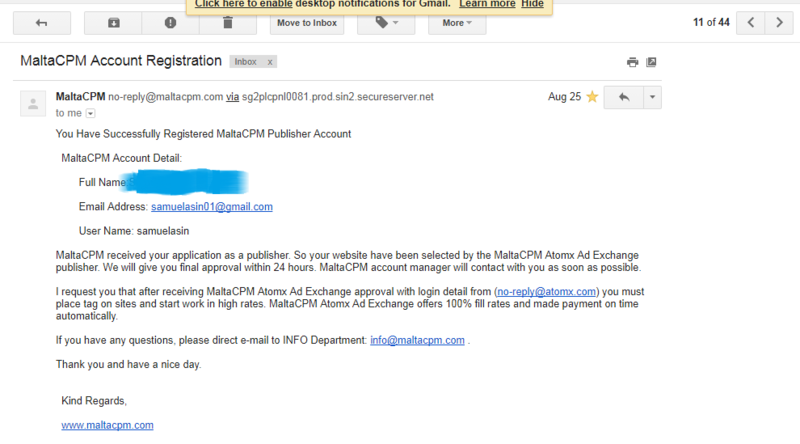 MaltaCPM ads is working in friendly atmosphere with Google Adsense. Excellent support and payout on time. 2 days late but yesterday night received payment. i hope maltacpm will pay me on time same yesterday night. How long does it take to get final approval for a publisher account? I applied for a publisher account and received a message that I will get final approval within 24hrs and its more than two weeks now with no reply. Dear Spark123, Thanks for your query. Please give me your Email ID or Username. I will check then give you final approval. Thanks for your help. I tried to sign up again but was unable to do so. The site is not responding. I appreciate your interest. I have checked all in good. Can you show here screenshot?